Every moment during a project that you spend looking for the right tool is wasted time and results in frustration and bad decisions. The ingenious HOLDSaBIT slips on or off a drill in seconds. 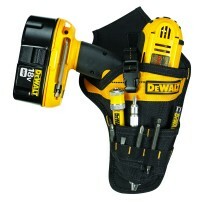 Simply pull one loop over the front of the drill and pull the second loop to the back of the drill. 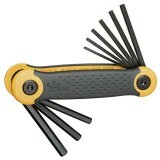 The HOLDSaBIT will hold any 1/4″ hex shank item as well as pencils, nut drivers and hex shank drill bits. Tips and bits are easily inserted and removed. Sold in a kit with bits or sold separately. 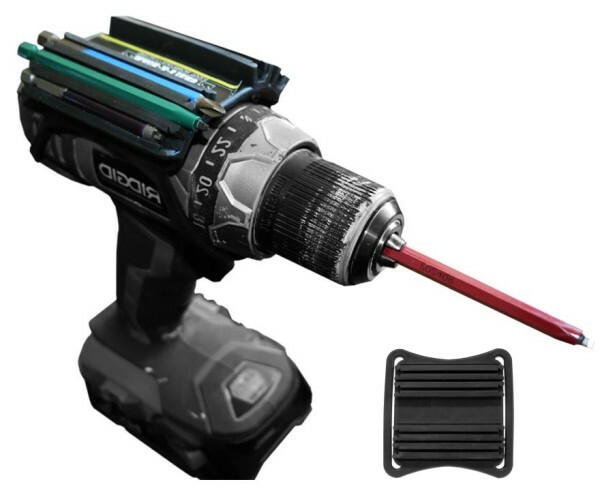 Hold any 1/4″ hex shank items as well as pencils, drill bits, etc. 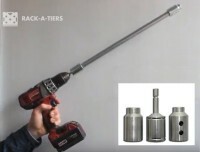 Can be used on drill or tool belt. BLUE #2 Phillips - 4"